At Senior and Super Senior stages, several things can go wrong at the same time! However, many diseases are still very treatable, so don’t simply put any changes in your cat down to ‘old age’ and ignore them! As cats get older, problems such as overactive thyroid glands, high blood pressure, kidney disease, arthritis, diabetes and cancer, are more likely to develop. Cats can also suffer from the equivalent of senile dementia, where they may become confused, withdrawn, wander aimlessly and vocalise (meow) excessively. However, these signs can occur with other diseases too, so a full examination is always needed. Older cats can become dehydrated and constipated. They may spend less time grooming, which can lead to coat and skin problems. Claws can become overgrown. Older cats may eat less because their sense of smell is not so good, or because they have teeth or gum problems. The cat’s digestive system may also not work so effectively and this may also contribute to weight loss. Older cats thus need to be monitored even more closely for signs of illness. Cats need careful attention as they age and regular health checks help focus where additional attention may be required. While some older cats are predisposed to becoming dehydrated, diseases such as kidney disease, diabetes, and hyperthyroidism may exacerbate this and feeding a wet (canned or pouch) food rather than a dry food will help to increase their water intake. 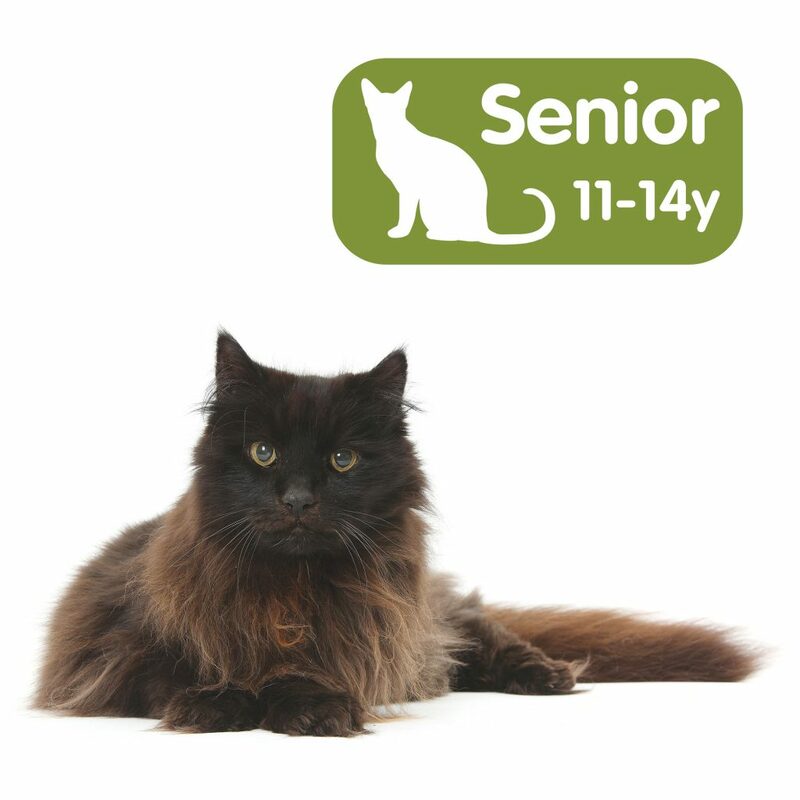 It will come as no surprise that chronic kidney disease, overactive thyroid, diabetes, arthritis and cancer are recognised as being the ‘top 5’ significant conditions of Mature, Senior and Super Senior cats. Nevertheless, many of these illnesses and changes can be managed very successfully providing even Super Senior cats with a good quality of life.